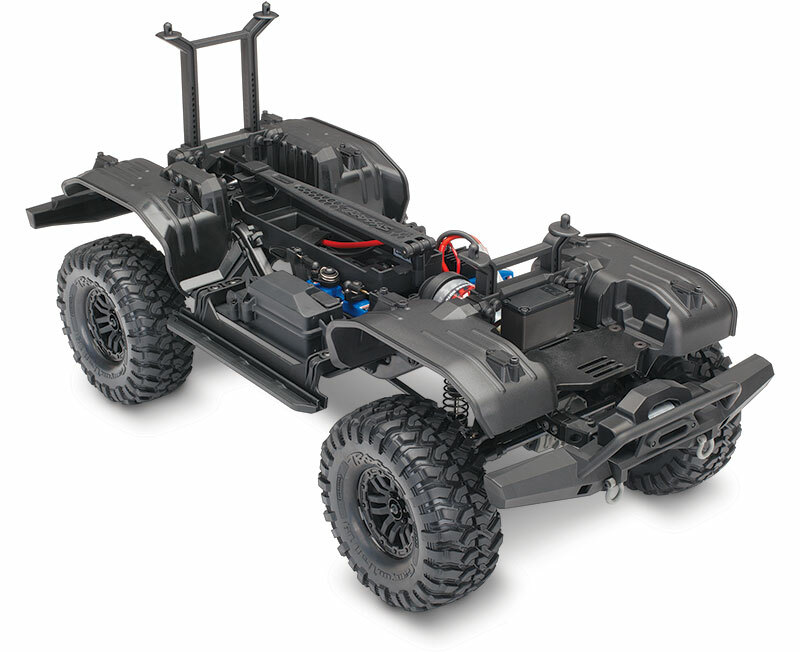 Traxxas TRX-4 Scale and Trail Crawler Chassis Kit: 1/10 Scale 4X4 Trail Truck, Unassembled Kit, Waterproof electronics, with TQi 2.4GHz 4-channel Radio System, XL-5 HV Speed Control, Hi/Low Transmission, and Remote Locking Differentials. Requires: Body, Battery, and Charger. TRX-4 Technology and Innovation-Now Available as a Kit! 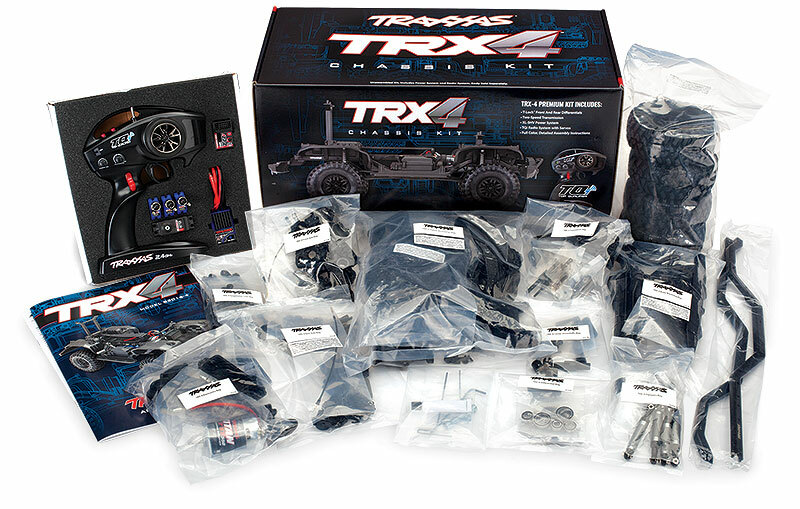 The TRX-4 Chassis Kit arrives ready to assemble with a full-color instruction guide, TQi 4-channel 2.4GHz radio system, and complete waterproof electronics including servos, XL-5 HV ESC, and Titan 21T motor. 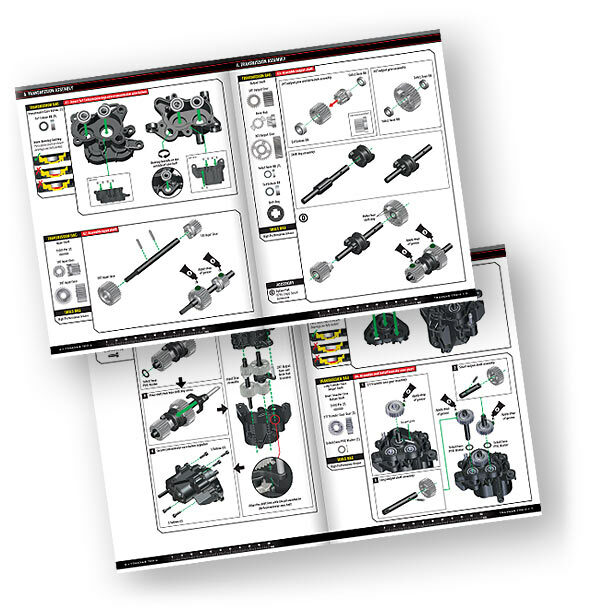 Key parts like shocks and suspension links come pre-assembled to make building easy and fun. Choose your own body, battery, and charger (sold separately) to complete your custom ride. A staff of skilled representatives is on hand to answer your questions via phone, website, or e-mail. Unmatched parts support keeps your Traxxas vehicle running strong with parts and support from thousands of hobby dealers worldwide. Traxxas goes the extra mile to ensure that your RC experience is easy and fun.